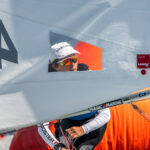 Spectacular racing day in the Mar Menor for the Laser 4.7 fleet. 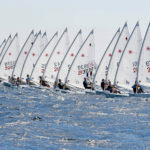 Turkish teams made and exhibition in the Mar Menor waters. 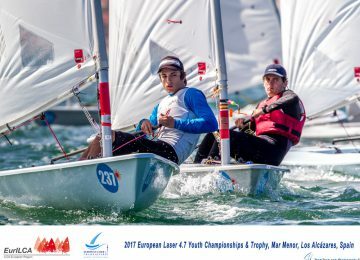 Yigit Yalcin TUR wins in Boys fleet, followed by Italian sailors Riccardo Arkwright and Martino Pettini. 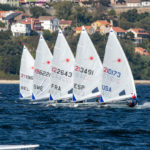 Also Turkish Llada Veziroglu wins in Girls, followed by Spanish Alena Marin-Armero and Carmen Martinez-Artero. 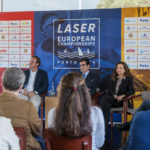 The event was organized as a part of the 2017 European Laser 4.7 Championships that will begin next Monday. 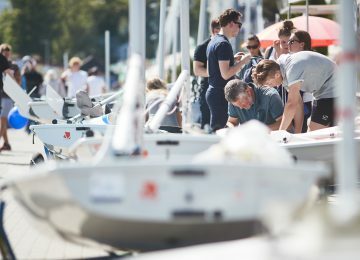 An official practice race is scheduled on Sunday 16th followed by an opening ceremony where the 350 sailors registered from 28 countries will share a completely week of sailing, sun, wind an over all sailing passion. 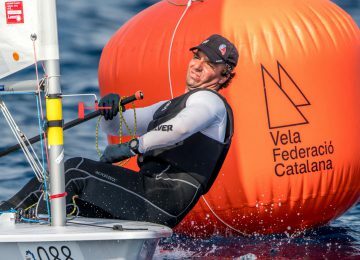 Mar Menor Trophy – Photo gallery here. 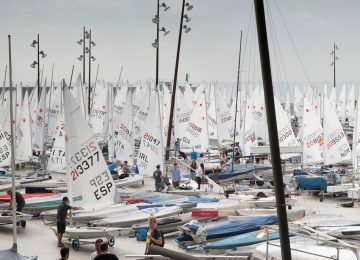 Complete results of the Mar Menor 4.7 trophy boys here and girls here. 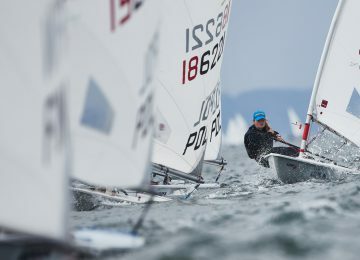 Source: 2017 European Laser 4.7 Championships | Photo: Thom Touw. 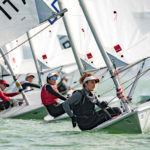 The link to the result of the Mar Menor Trophy does not work. Thanks Tom. We know, it’s a broken link coming from organiser’s website. We’re waiting for them to fix it.